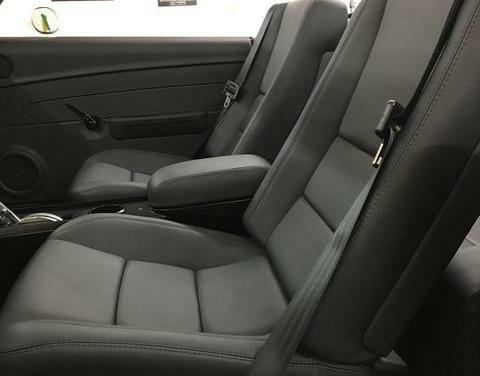 Complete custom leather interior for Customs by Kilkeary. We created a simple, clean, and modern factory inspired interior for this '70 GTO. Carbon black Relicate leather, black Serafil thread, and black daytona carpet. Complete custom built interior in a 1949 gmc pickup using Relicate Tumbleweed leather, honey brown german square weave carpet, and 2910 alcantara. All the electronics were hidden in the console to obtain a classic look. Complete Custom interior for Customs by Kilkeary. We used custom leather from Relicate combined with alcantara and gold topstitching. The car received a top 5 spot competing for street machine of the year at the 2016 Goodguys PPG nationals. Complete custom leather interior using Relicate leather, Alcantara, brown german square weave carpet, and polished aluminum trim. Traditional custom interior in a traditional custom 1932 ford 5 window. Black leather and black german square weave carpet were used to compliment the look of this one of a kind 32. Congratulations to Dave on the 2016 street Rodder top 100 pick! 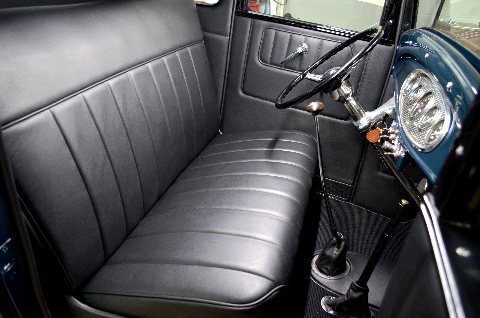 Complete custom Interior in a 1970 Nova for Customs by Kilkeary in black Alante vinyl and slate gray Suedeskin. Recaro bucket seats recovered and entire interior handmade to match. The back seat area was entirely built from scratch to acheive a modern day hot rod appearance. Complete custom interior in a 61 Biscayne for Area 51 Paintworx. Carrara tan vinyl and basket weave print. All components hand made. Click image for more pictures. 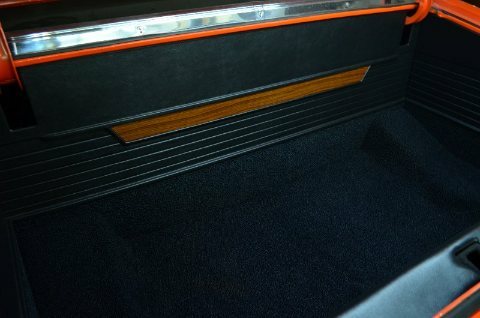 We wanted to match the original interior styling for the trunk of this 1972 Chevy Nova to provide a factory installed look. We used a madrid grain vinyl and lots of router work to obtain the look. Joes Body and Paint in Monongahela, PA applied the water transfer printed woodggrain on an ABS pattern that we provided.